Replacement Lid Gasket For Speidel Plastic Fermenter - 15.9 gal. & 31.7 gal. This is the replacement gasket that seals the lid onto the body of the plastic Speidel fermenters. This gasket generally does not wear down through normal use and need to be replaced. That being said, everyone seems to manage to find creative ways to use our equipment that results in needing replacement parts! 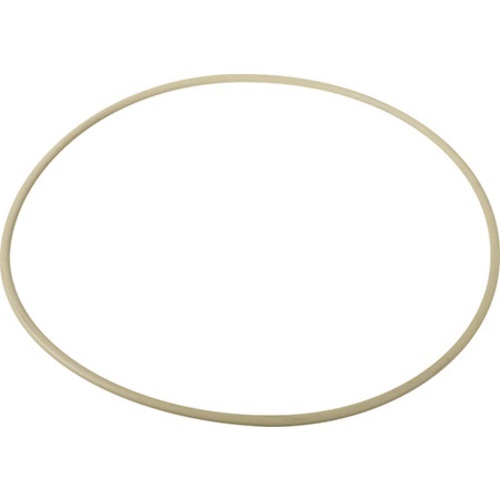 This gasket fits our 60l(15.9 gal) & 120L (31.7 gal) Speidel Plastic Fermenters. This gasket is made by gluing the two ends of a length of silicon to make a ring. The glue weld failed after a couple of years. I could probably track down a food safe glue, but it is easier to order a replacement. Anyone else have problems getting the lid closed? The gasket that came with the 60L tank is too large, and doesn't allow the lid to seal. BEST ANSWER: Bill, I have both a 120L and a 60L fermenter and the 60L lid is a lot more difficult to seat than the larger fermenter. I’ve always been able to get mine to seal but sometimes it takes a good deal of force. I’ve thought about using silicone or food grade petroleum jelly to lube the gasket,but haven’t had to resort to that yet. Yes, the gasket must have slipped out of position. I also think I was expecting the lid to close further down but as long as the gasket centered and in the slot it appears to be airtight now. Thanks. Put the gasket in the fridge for an hour than it should fit. Have not had an issue with that. Fits perfectly. Allows for me to make pressurized transfers without a hitch!